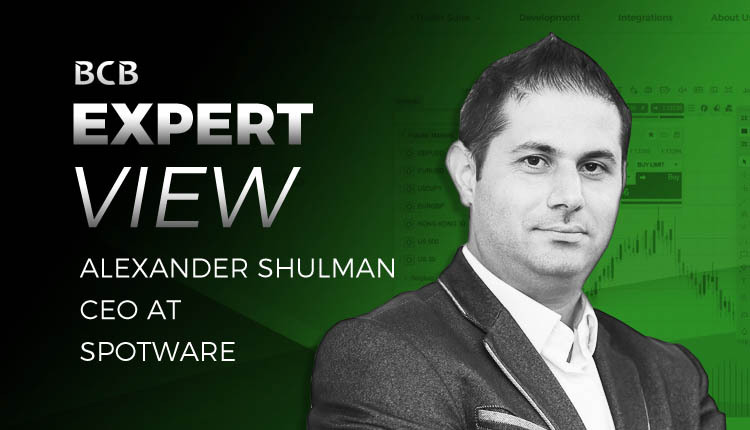 Alexander Shulman is the recently appointed Spotware CEO who succeeded Andrey Pavlov, the founder of the company. Alexander joined Spotware in September 2015 as the head of client-side development, i.e. he oversaw the product development of all the cTrader applications that we know and love. Having a software development background gives him the necessary experience to be able to drive the future development of cTrader, which of course, we want to know more about. Just as we have done in other recent interviews a number of members from the management team at Spotware, we’ve prepared even more questions. All questions have been carefully designed to extract what all cTrader users eager to know. This time we fire them off at the companies CEO and get an exclusive look into the future of Spotware and cTrader. We would like to thank Alexander for his time and attention. Obviously running a company is a complicated business and it’s not only about building trading applications. What have been your biggest challenges and achievements in 2018? 2018 was the year when we migrated all our brokers to cTrader ID authentication and completely revamped the cTrader ID site, the personal cabinet of cTrader platform. This allowed all our users to get access to cTrader ID exclusive features and tools and enjoy cTrader advantages to the full. It also extended traders’ control over accounts and allowed them easy access to different apps, resources, and APIs, overall improving their trading experience. Traders can now switch between accounts without the need to remember each account password, configure email alerts and mobile push notifications, use cloud workspaces and watchlists, manage active sessions across all devices, and much more. Another important milestone was the release of cTrader Copy, a versatile investment platform. It composed the benefits of PAMM and copy trading in one easy and transparent application of cTrader, covering the needs of any kind of Investor, Professional Trader or PAMM Manager. It has a number of benefits to all users and brokers who offer it, including flexible fees structure, strategy promotional tools, control over funds, and it’s highly accessible, as anyone can become a Strategy Provider or an Investor. So it was quite a busy year for us but we are happy that our efforts were also appreciated. We have recently received an award from Finance Magnates for the Best FX Trading Platform. This is a big step in moving towards cTrader recognition on a wider scale. Our large community of traders continues to grow daily as well. cTrader as a platform seems pretty much complete in the most part, what are the plans for the future? Indeed, with the integration of cTrader Automate, cTrader Copy, and Analyze, cTrader became a complete trading platform suitable for any kind of trader. Yet, there is still a lot of development planned in terms of further improvement, additional features requested by traders, and overall usability of the platform. For instance, currently, we focus on delivering data and tools for fundamental and technical analysis across all devices. And of course, we will continue conducting ongoing research to deliver innovation in cTrader platforms and educate traders and brokers about their benefits. At the end of the day, cTrader is a truly technologically advanced platform that offers safer trading and many have already realized that. The new vibe of cTrader seems to be an all-in-one experience, yet cTrader Copy (successor of cMirror) isn’t available on mobile. Do you have plans for this? Yes, definitely. As we see a big shift towards mobile trading, it’s becoming very important to cover this segment of traders. That is why cTrader Mobile application, which is available for both Android and iOS devices, supports the entire user lifecycle. The development of cTrader Copy for mobile has already started and we will be implementing it gradually with every new release. Apart from that, we put a lot of efforts in making the application extremely fast, responsive and intuitive with a focus on charting capabilities. The upcoming release of cTrader Mobile 3.2 will also bring some other exciting tools, so stay tuned to our news. MetaTrader still dominates the EA space. Yet cTrader is more advanced for several reasons. How do you plan to get the word out there? That’s right. cTrader Automate is a complete, powerful and easy to use solution for trading strategies, technical analysis and, in the near future, custom UI in cTrader. In order to achieve its convenience and fast development speed for our users, we used proven mature tools. For instance, robots and indicators are created using a popular C# language. In addition to a built-in Code Editor with autocompletion in cTrader, we also integrated the most powerful IDE, Visual Studio, which has a rich set of features that can’t be found in any proprietary trading platform. In addition, because our robots and indicators are, simply, the .Net libraries, developers can leverage the existing world of .Net, which has tons of libraries and large community support. Our community website contains a free to use library of cBots and custom indicators to help users and developers run and improve their trading strategies. Besides cTrader Automate available for Windows desktop platform, we have two platform-independent API products. This is FIX API, which is the industry standard, and a much more powerful Open API, which can be used to create third-party services, web widgets, and other applications. And we have just launched a much-improved Open API v2.0. It seems like there is still a lot of development planned. Where do you see cTrader in three years’ time? We are working in a very fast-paced industry which demands us to be flexible and able to constantly adjust to the changing environment. Thanks to the Traders First™ approach that we follow, this became possible for us. cTrader reflects the market needs, and that is why we believe that even in 3 years’ time, it will deliver exactly what traders and brokers desire. Other than that, because cTrader Suite comes as a complete solution for brokers, with cloud hosting, global infrastructure, and ongoing technical support, it is highly demanded by startup brokers for whom it is much easier and cost-effective to employ a ready-made solution out of the box. So, we expect that many new brokerage companies will start offering cTrader. 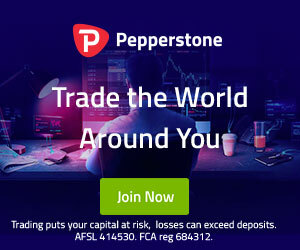 What was your first impression when you discovered a website dedicated exclusively to cTrader? We were very happy to find a good source that provides in-depth information on cTrader platform. It is also a pleasure to see someone who understands and appreciates what we do. This website is, indeed, a professionally composed knowledge base for both traders and brokers. If I was a broker or a trader interested in cTrader, I would certainly add it to my bookmarks.